FBP Transport is a carrier of flatbed and specialized types of freight in the south and southern United States. We provide competitive quality service to our customers through innovative skills and tools necessary to ensure safe, on time delivery of every load. FBP Transport’s sole focus is providing superior service to every customer. FBP strives to be number one in customer service ,because we feel that in building a long term relationship with our customers FBP will continue to grow. FBP Transport was established in 2002 in Crowville, Louisiana. FBP Transport is a successful carrier of building materials, and heavy equipment, and permitted loads trough the United States. 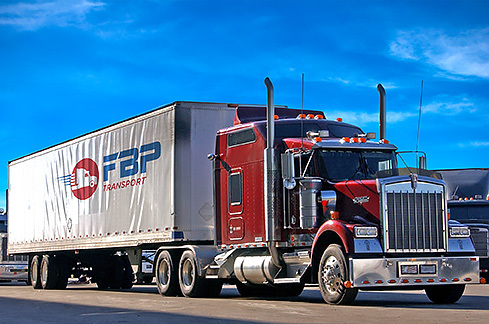 FBP takes pride in the quality service provided to its customer’s freight. FBP Transport utilizes flatbeds that are to 102″ wide and 48 feet in length, air ride, and low weight for maximum capacity. The dry box vans are 102″ wide and 53 feet in length. We also have step-decks, Rgns, curtain-side, hopper bottoms, and dump trailers to meet our customers needs. All of our equipment is inspected and serviced frequently to eliminate breakdowns and to ensure timely delivery of our customers product.